Coverage: Watch live on BBC TV, HD, Red Button, Connected TV, online, tablets, mobiles and BBC Sport app. 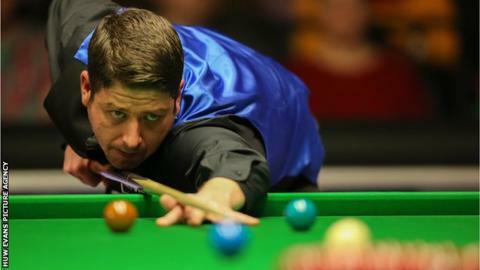 Matthew Stevens, Ryan Day and Jamie Jones have qualified for the 2015 World Championship in Sheffield. Two-time runner-up Stevens overcame Joe Swail 10-5, while Jones beat Adam Duffy 10-8 at Ponds Forge. Day secured his place at the Crucible after a 10-6 win over fellow Welshman Jak Jones in the final qualifying round. They will join former double world champion Mark Williams in the first-round draw. Stevens, 37, will be making his first appearance at the World Championship since 2013 after losing in the final qualifying round last year. "It's nice to go back to the Crucible. I can't wait to play there again," Stevens said. "I lost last year to Tom Ford and you start thinking as you get older perhaps you'll never go back. "I feel pretty good in practice and I think I'd be a match for anyone if I play my game."